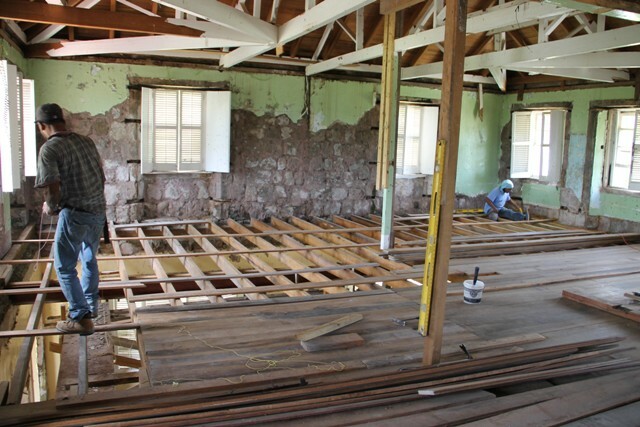 NIA CHARLESTOWN NEVIS (August 25, 2016) — Restoration work on the 1909 Government House at Bath Plain has commenced. The EC$1.6 million project is expected to be completed in eight months. The disclosure came from Hon. Alexis Jeffers, Minister responsible for Housing and Lands in the Nevis Island Administration (NIA) when he toured the construction site on August 23, 2016. He said the integrity of the building would remain and it would be made liveable again and open to visitors. Alton Brown, who restored the Old Treasury Building in Charlestown, is the project contractor. “We are going to maintain the general look of the building. We are not changing the structure in any way. We are enhancing what we have here and maintaining that colonial look. 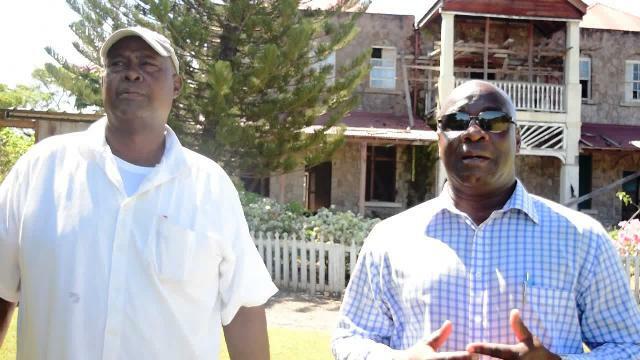 “We know how proud persons are of the architecture of this particular building and we want to maintain that and ensure that we are consistent with the history of Nevis,” he said. Mr. Jeffers underscored the historic importance the building and the role it has played in the island’s history. Up to the time of its closure due to an infestation of wood lice, it housed the residence and office of the Deputy Governor General. 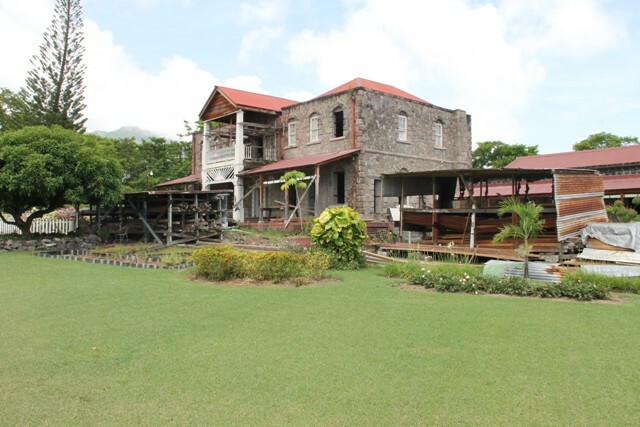 “This building is an important building to the island of Nevis in terms of its history, in terms of it being a landmark. 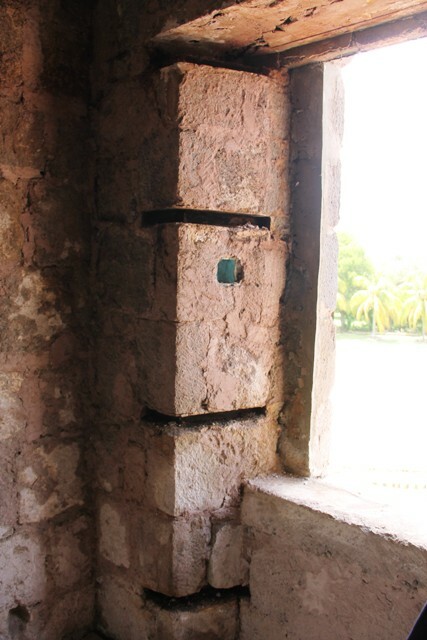 This building was constructed in 1909 and since then, it has been home to many different persons including governors of the Leeward Islands who would have passed through. Queen Elizabeth II would have passed through here back in 1966. “Since our independence in 1983, it has been the home of our deputy governor general. We have since moved the deputy governor general because it was not habitable…For those persons about my age or a little older, many of you would recall coming to the grounds of the Government House for tea parties, for cocktails and other official engagements and we want to get back to those days,” he said. Meantime, Mr. Brown in his description of the scope of works explained what his team would be engaged in the coming weeks. “We will be removing all wooden materials that is existing in the building which was totally infested with wood lice. At the same time we are just checking other materials that are necessary to be removed including loose stone which were made out of limestone. On the upper floor, we will remove all mortar to the walls, replacing them with mortar made with limestone also but of a different texture. On the ground floor we will be framing all the internal walls and replace them with wooden panels…We took out all the damage woodlice-infested wood and we are redoing the entire floor and framing the upper floor for the internal partition walls,” he said. The greenheart wood which was imported from Guyana for the project 10 years ago, would be utilised in the restoration project. Mr. Browne assured that once that type of wood is properly stored it lasts for as much as 100 years. He noted that although some were damaged because of exposure to the elements, 90 percent of the stock would be used for the project. Regarding the integrity of the structure, he said it remains sound with its solid 24 inch-thick walls with interlocking stones. He expressed his amazement after taking the levels in the building, to discover that only one side has sunken by 1 ¾ inches over the years since its construction in 1909, which suggests a solid foundation. He said it is the first such finding in his career of restoring old buildings. Brown says he has restored several old buildings in his home country Guyana and in recent times on Nevis. “I always feel it’s a feat when you do that and you look back and see what you brought it from. It’s like bringing back the dead,” he smiled.